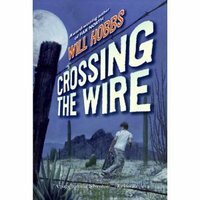 1 Have you ever read any of Will Hobbs's books? If you have, you probably have an idea about the kinds of things he likes to do. His books are all about outdoor adventures. Books and being outdoors have always been a big part of his life. He has found a way to put the two together to do something that he really loves. 2 Will Hobbs was born in Pittsburgh, Pennsylvania, in 1947. His father was an engineer in the Air Force. His job took their family to many different places. When Will was only six months old, the family moved to Panama. From there they moved to Virginia and then to Alaska. After that, it was California, then Texas, and then back to California. They moved every two or three years. Will didn't like always being the "new kid" in school. That was hard, but he always liked school. Reading was always his favorite part. He didn't care whether it was for a class assignment or just for fun - he liked any kind of reading. 3 His love for the outdoors started when his family moved to Alaska. He loved seeing the mountains and rivers. He spent a lot of time fishing (and also reading books). He also played a lot of baseball while he was there. When the family moved to California, Will kept exploring. Almost every afternoon, he wandered around the hills behind his house. During the summer, he loaded up his backpack and explored the Sierra Mountains. Backpacking became a favorite pastime for him. It is one that he still enjoys today.